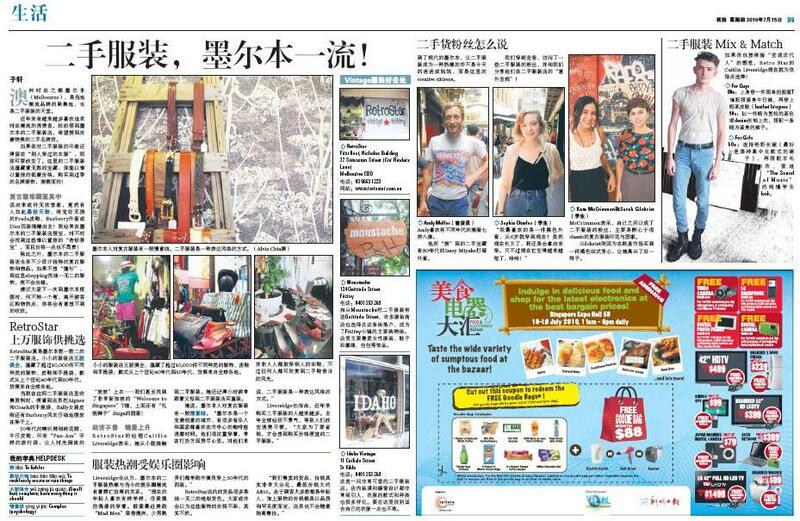 Our article on Melbourne vintage fashion is finally published in the Singaporean bilingual newspaper MyPaper. And yes, it’s in Chinese, because we do translations too. To read the article, download the pdf (as the below is only a snapshot). Or you can read the original English version titled ‘Melbourne: Second hand fashion, first rate value and style’. Creative Director Alvin Chia would like to thank Caitlin from RetroStar, Ania from Moustache and Idaho and those that he interviewed on the streets of Melbourne for their contribution to the article.